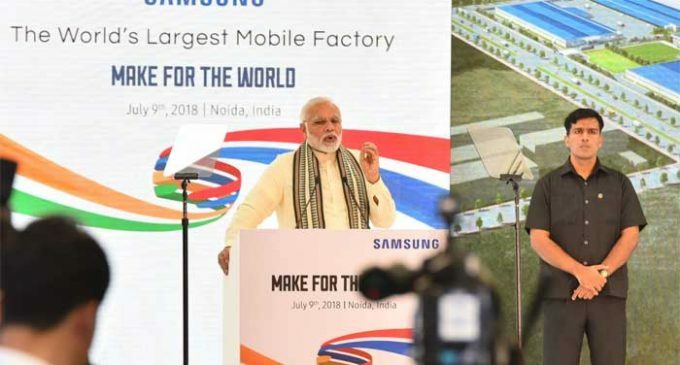 Noida, July 9 (IANS) The world’s largest mobile factory unveiled by South Korean tech giant Samsung in Noida will not only generate more jobs but also make India a global export hub, Prime Minister Narendra Modi said on Monday. Inaugurating the new facility spread over 129,000 sq metres at Sector 81 here, Modi said Samsung will export 30 per cent of the handsets made at the Noida factory to other markets. 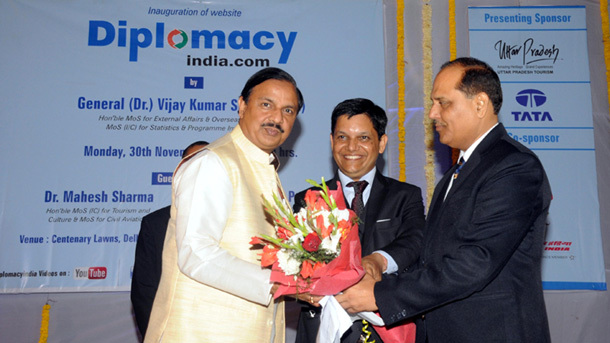 “India is currently second in terms of phone manufacturing. Out of 120 mobile factories, 50 are in Noida only. Altogether, over 400,000 people are working in those units and Samsung is spearheading this with a workforce of 70,000 people. “The new facility with give direct jobs to 1,000 people, taking the existing workforce at this plant to 6,000. The best part is that the company will export 30 per cent of the handsets made here to other markets,” Modi told the gathering here. The Prime Minister said the new mobile manufacturing unit will make India-South Korea relations stronger as Samsung’s biggest global R&D centre was already here. “Almost every middle class Indian family is using at least one Korean product. Samsung has a distinct space in India. India is going through digital transformation and I encourage more companies from South Korea to come and invest here,” Modi noted. “We are aligned with government policies and will continue to seek their support to achieve our dream of making India a global export hub for mobile phones,” said HC Hong, Chief Executive Officer, Samsung India. The inauguration ceremony was also attended by Uttar Pradesh Chief Minister Yogi Adityanath and senior Samsung officials including including Vice Chairman Jay Y. Lee. President Moon Jae-in said the new facility will create a new era for India-Korea ties. “I am happy to see Korean companies participating in India’s digital transformation and I have full support for them,” the South Korean President told the gathering. Adityanath also invited more South Korean firms to come and invest in the state. “I fell proud as an Indian today. This is a great milestone in the history of Samsung India which will take our country’s manufacturing abilities to newer heights,” Asim Warsi, Global Vice President, Samsung India, told on the sidelines of the event.